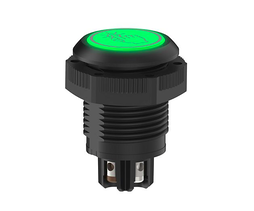 Simple and reliable, the K50 Series Touch Buttons feature a large, bright indicator controlled by solid-state, touch-driven switching capability. The buttons do not require any pressure for operation and can be activated with a single touch, with or without work gloves. They are enclosed in IP69-rated housing and can withstand high-stress environments. A variety of models are available depending on the color required as well as the latching mechanism. In order to compensate for false-positive activations, the buttons have smart electric-field sensing that makes them immune to water sprays, detergents, and foreign agents. 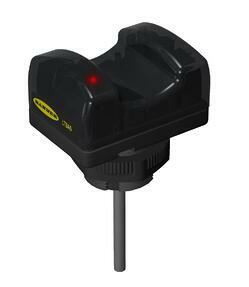 The buttons are ideal for pick-to-light and call button applications. Featuring a 22mm threaded polycarbonate base, each S22 Pro Series touch button can indicate in up to seven independent colors. Actuation can be carried out with bare hands or with gloves and require no physical application of force whatsoever. The operation is carried out through 10V–30V DC and depending on the source wiring bimodal inputs and outputs are available. The circuits are solid-state and last a lifetime without added maintenance requirements. The exterior is equally rugged, featuring an IP69 waterproof construction as well as resistance to unnecessary triggering caused by foreign agents. 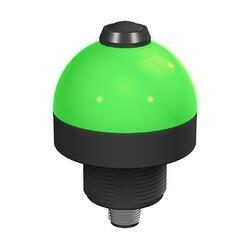 The K50L Series are illuminated push buttons that have three-color indicator lights. Functions are carried out without the need for external power, with the push button being mapped to a dry contact output designed to work with SureCross FlexPower devices. The voltage range for operation is 18–30 volts direct current. A number of variants are available that are suitable for specific situations, such as Cabled, Euro Quick, and momentary pushbutton output models. 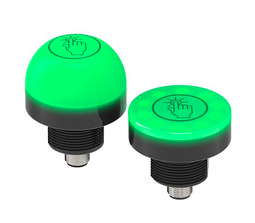 Replacement for traditional mechanical push-buttons, the OTB Series optical touch buttons require zero-force for operation. These are momentary-action touch buttons featuring solid-state or electromechanical outputs. They are made with a 30mm threaded base for easy mounting and include a field cover to protect it from accidentally turning on due to debris or loose clothing. Variants are available for input/output voltage, disconnect style, and output type (PNP). 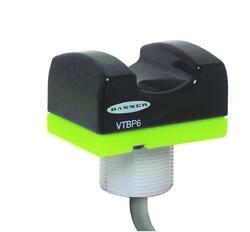 The VTB Series Touch Buttons serve as a replacement for mechanical push buttons and touch switches. They are designed with an illuminated base and can be used for solid or flashing lighting. The color range includes red, green, and blue and can be customized depending on the application. The Verification Touch Buttons require no physical pressure for operation and carry no risk of repetitive strain injury. Depending on the chosen model, the buttons can withstand a variety of chemicals, abrasions, and contaminants, flawlessly working in stressful industrial environments. Usual applications for these buttons are areas where light screens cannot be easily installed due to space constraints.